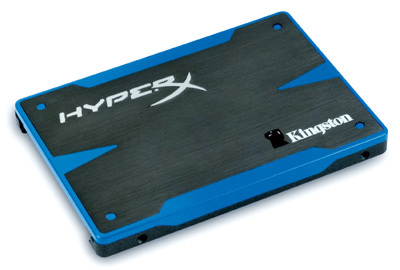 In addition to HyperX variants in the flashdisk and memory products, Kingston also presents similar series on their SSD range that are divided into 4 parts. HyperX is the highest version and made available to professional users or gamers. Both this segment typically require more performance racing. For information, HyperX SSD package is actually available within options that come with upgrade kit and other not. As well as other cool models SSD, HyperX SandForce controller using the popular SF-2281 in the ranks of high-end SSD. As a storage device used chip Intel 25 nm MLC NAND. This chip also used by Intel SSD 520 series we’ve ever tried. In this way, we expect the performance will be as fast as some of its rivals have ever present. With the specification that is quite promising, HyperX SSD (model SH100S3/240G) that we are testing are very agile. The ability to write fairly prominent than competitors we’ve ever tried (see table). This score at least equivalent to OCZ Vertex 3 Max IOPS score, one of famous fast. Plus: optimal performance; warranty term. Minus: The price is expensive.